Enjoy your paid time off, Brad Mills. Some candidates might not become available until after Oct. 3 — or after the World Series should their employers advance far enough — but the search begins now and interviews will likely start during the season for those unattached. “Right now, we’re at the very first stage, which is gathering information,” Luhnow said Sunday. “Once we get past that stage and determine which candidates we want to speak to, there’s going to be a lot of factors involved in that. “There’s no reason to wait, so we’re going to move as fast as we can. That Mills was fired isn’t a surprise. Changes in ownership almost always mean changes in management, and it’s not like Mills has a long record of managerial success to mitigate against that. Of course, it’s hard to imagine any manager from John McGraw to Casey Stengel to Bobby Cox getting a whole lot more out of the talent on hand. Still, I am curious what the actual case against Mills was, since no one is saying anything bad about him and I don’t recall seeing anyone argue that he’s been a failure. When a club is in complete tear down and rebuild mode, you need a manager that’s good at teaching and who won’t unnecessarily risk the health of his players to win a game that in the long run doesn’t mean much. I don’t know if Luhnow and Crane didn’t like what they saw with Mills or if they just wanted to get their own guy in there. Not that it really matters, as whoever they bring in is unlikely to still be there when the team finally turns it around. That’s usually the way these things go in the process, and with the Astros years away from being competitive, I’m pretty sure that’s how it will go here. Best of luck to whoever will be nurturing them in the interim. Roger Clemens, whose remarkable 30-year baseball travelogue has taken him from Houston to Austin, Boston, Toronto, New York and points in between, will make his next stop in Sugar Land. Clemens, 50, the seven-time Cy Young Award winner who last pitched in 2007 and was last in the public eye for his acquittal on federal perjury charges earlier this year, will return to the mound on Saturday night to pitch for the minor league Sugar Land Skeeters. 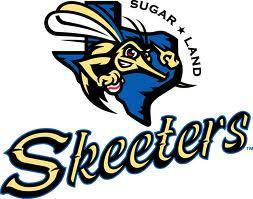 Clemens threw for about 90 minutes Monday morning at Sugar Land’s Constellation Field and pronounced himself ready for his comeback against the Bridgeport Bluefish, which along with the Skeeters plays in the independent Atlantic League. Whether it is indeed a one-time curtain call or a return to action that could at some point lead to Clemens’ return to the major leagues, it is an unexpected swerve in the career of one of baseball’s most charismatic yet polarizing athletes. There’s two ways for an athletic career to end: For the athlete to accept that it’s over and move on, and for the athlete’s performance to make it clear to anyone who might think of hiring said athlete that it’s over. Neither has happened yet with Roger Clemens. As long as he’s got the fire, and until the objective evidence says otherwise, I say what the heck. For all we know he may still be a viable option for the Astros a few years down the line when they’ve finally put together a team that can win again. Or perhaps sooner than that, as Campos speculates. So here’s the deal. If he does OK in a couple of outings, the ‘Stros will pick him up for three games in September when they can expand the roster. The ‘Stros will let him start against three non-contending clubs at The Yard – Cubbies, Phillies, and San Luis (soon to be non-contenders) – and they will let him pitch four or five innings and sell out The Yard. It is gate money the team wasn’t counting on. They will pay The Rocket the minimum but since he’ll be an MLBer, he’ll be knocked off the Hall of Fame ballot for the next five years and won’t have to face the humiliation of not getting the votes next January to join the Hall of Fame. By 2018, some of the old school BBWOA members won’t be around to leave The Rocket off of their ballot and the most recent Rocket memory will be of the 2012 Comeback at The Yard. That’s not a bad strategy if you ask me. Plus, at least it would be something to look forward to at The Yard this September. That actually makes a lot of sense, for all involved. We’ll see how it goes. I predict after Clemen’s long layoff from baseball that his balance will not be as good and his big ego will embarrasingly tip him over when he tries to pitch competitively this weekend.